BROWNSVILLE TN (March 18, 2019): The West Tennessee Delta Heritage Center invites blues fans from around the world to the 9th annual Exit 56 Blues Fest May 25-26 in Brownsville, Tenn. 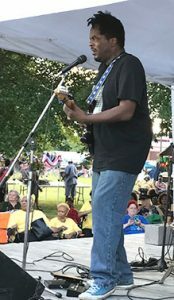 The festival, presented from the porch of the last home of blues legend Sleepy John Estes, will showcase two full days of blues performances including a “Women in Blues” line up on Sunday, May 26. 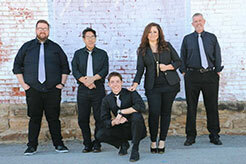 (Photo, right) Lucious Spiller performs at noon on Saturday, May 25. 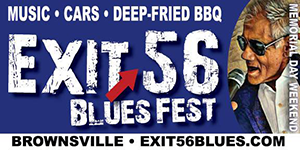 The Exit 56 Blues Fest features live music from an eclectic gathering of blues men and women, arts and crafts, car and motorcycle cruise in/Corvette car show, and the famous deep-fried barbecue eating competition. • 1 pm: Robert Kimbrough Sr. Admission is free. Those looking for more information about the event can visit www.Exit56Blues.com or contact the Delta Heritage Center at 731-779-9000 or [email protected].